A 34-page report written by Kirsty Brimelow QC, Stephen Cragg QC, Tony Fisher, Roberta Taveri and the Arrested Lawyers Initiative. The report entitled “International Law Breaches Concerning the Independence of Legal Profession in Turkey” was submitted to Mr Diego García-Sayán who is the United Nations Special Rapporteur on the Independence of Judges and Lawyers by the Bar Human Rights Committee of England and Wales (BHRC), the International Bar Association’s Human Rights Institute (IBAHRI) and the Law Society of England and Wales on Tuesday in Geneva. 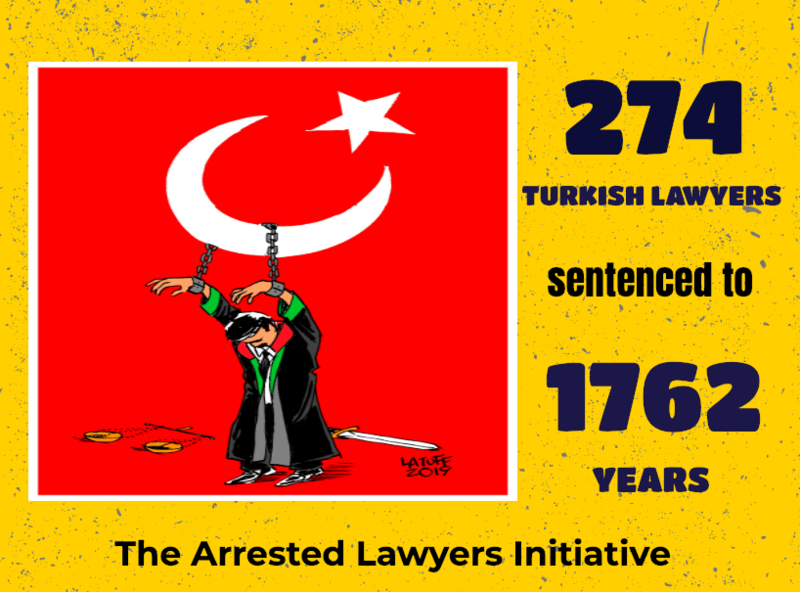 The international law associations requested UN’s García-Sayán to enter into urgent dialogue with the Turkey with a view to ending the persecution and prosecution of legal professionals in the country, by saying that the already dire situation is worsening in Turkey. The international law associations have also urged UN to send a communication to the Turkish government “to seek to guarantee the independence of the judiciary and the prosecution services, in accordance with the UN Basic Principles on the Independence of the Judiciary and the UN Guidelines on the Role of Prosecutors. The report also stated that since 2010, successive legislative and constitutional reforms have significantly weakened the rule of law in Turkey by undermining the independence of judges and prosecutors. The newly acquired powers enable the government to interfere with the judiciary and the prosecution services by appointing those held in favor by the government to key judicial positions and to other institutions, by reassigning and dismissing others and by arresting and prosecuting thousands of lawyers, judges, prosecutors, and court staff. “Such measures strongly undermine the independence of the judiciary and the prosecution and contravene the UN Basic Principles on the Independence of the Judiciary (especially Principles 1, 2, 4, 8, and 18 and 20), as well as the UN Guidelines on the Role of Prosecutors (especially Principles 2(a), 4, 8, 21 and 22),” said the report. “To ensure that lawyers are entitled to form and join independent and self-governing professional associations as protected by Principle 24 of the UN Basic Principles on the Role of Lawyers. In a statement concerning the joint submission ‘Draconian measures introduced during the state of emergency in Turkey have now been incorporated into the country’s permanent legal framework, expanding the powers of the president and restricting access to justice for ordinary citizens. The rule of law and a legal profession independent of government are cornerstones of a healthy democracy in which citizens have access to justice, power can be held to account and lawyers can practise without hindrance or intimidation,’ said Christina Blacklaws, President of the Law Society of England and Wales.